This kitchen counter is an excellent choice for functionality. There’s more than enough space to work with, as well as an informal dining area to grab those quick meals as you head to work. 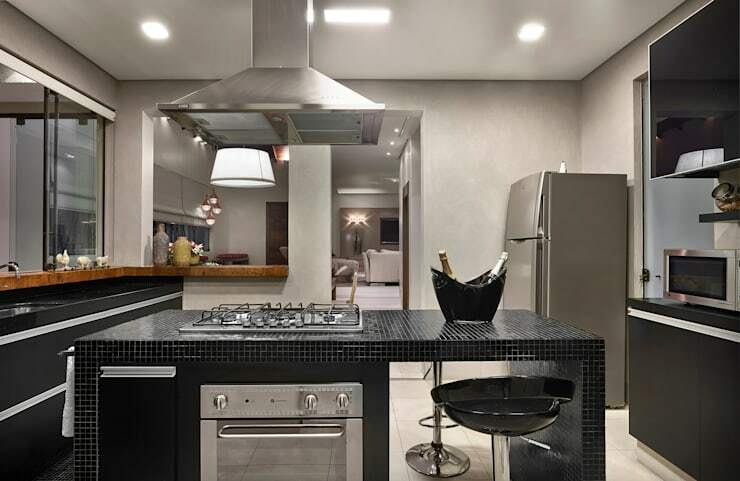 The colour choice and sleek appearance makes this kitchen a top choice for a modern home, with dark granite and a wood detail separating the spaces. 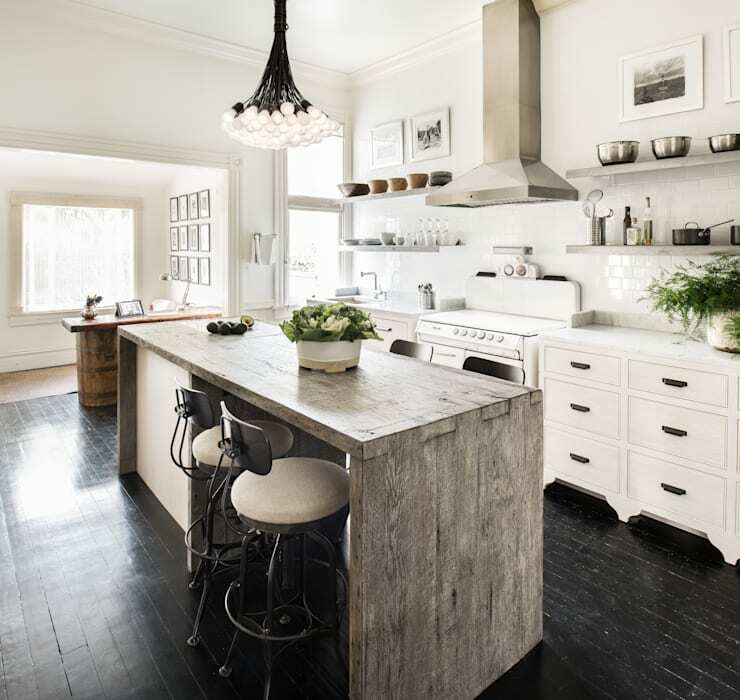 The rustic style of this kitchen is amazing! The shiny surfaces have been replaced by textured wood, while the neutral colours of exposed brick and light wood add to the décor. The kitchen will make for an amazing feature in any home that welcomes unique style. 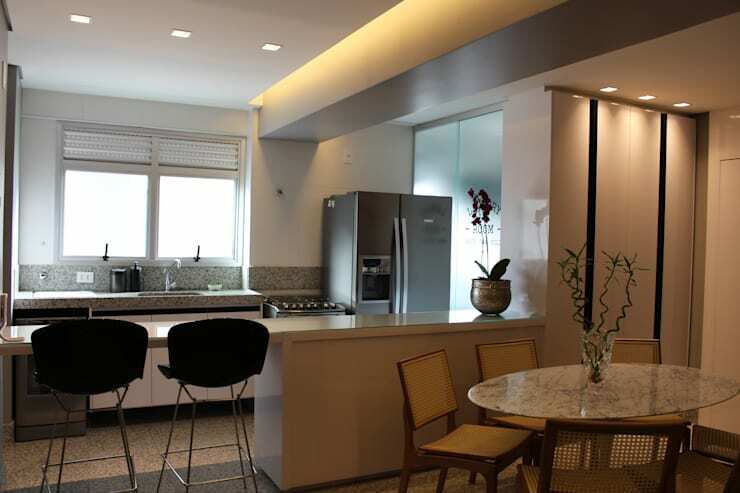 Modern homes now include open-plan living spaces for the kitchen, living room and dining area. 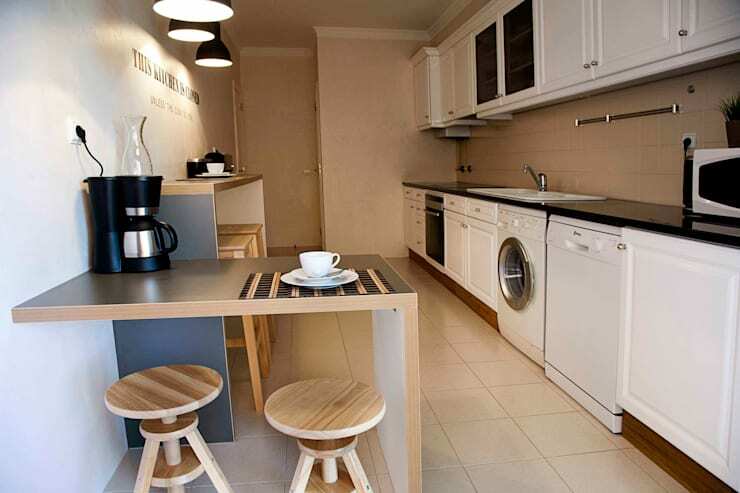 The outcome of this is that a kitchen may be a lot smaller or more compact than we’d like. 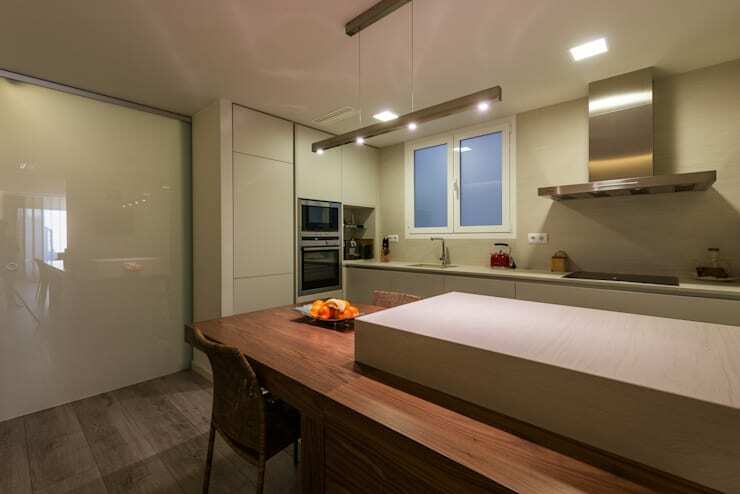 A narrow kitchen, however, doesn’t have to look cramped and unwelcoming. 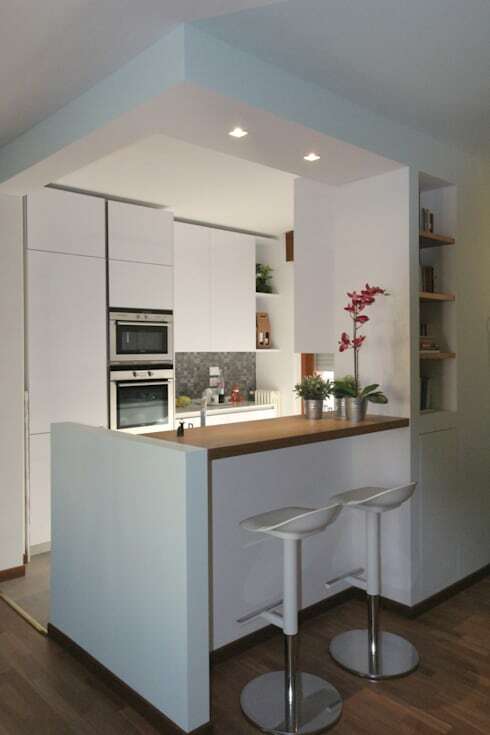 The neutral colours and simple fixtures pictured definitely make this compact kitchen a lot more attractive. This kitchen layout may be somewhat odd, but that’s doesn’t mean it isn’t interesting. The cabinets provide enough storage for kitchen essentials, while the small breakfast bar creates a spot for informal dining or a morning cup of coffee. The materials used in this kitchen may be rustic, but their colour combination and layout is proudly modern. 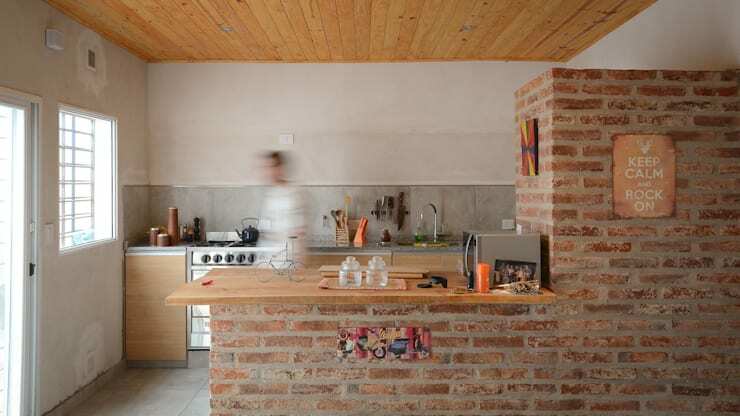 The white brick-like tiles are an interesting choice, and along with the wood, granite and stone, the kitchen is absolutely chic and friendly. 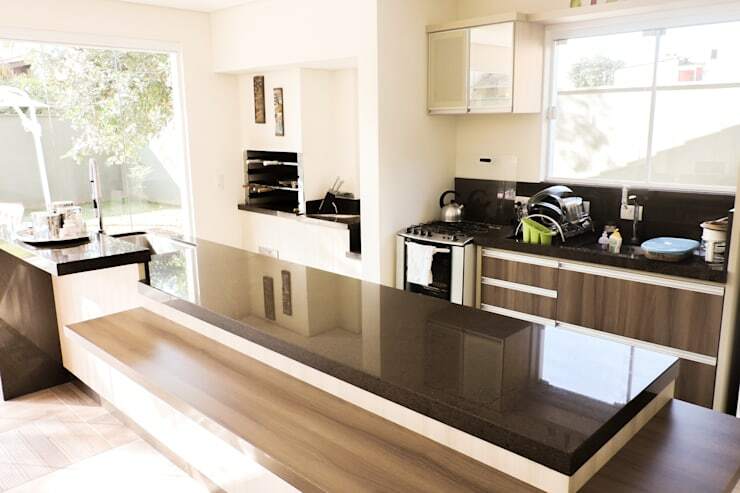 This kitchen is another example of a multifunctional, open-plan arrangement. The yellow L-shaped counter adds some quirkiness to the space, while the wooden table that extends from the kitchen island serves as a dining room table. Now that’s dynamic! When deciding on the detail and décor for the kitchen, it's important to consider all the details that matter to us, whether it means modern appliances, eclectic features or even contemporary materials. This lovely kitchen gets it all right! Although a wooden counter is a prominent choice for rustic kitchen décor, there’s nothing stopping you from adding this textured natural material to your minimalist kitchen as well. 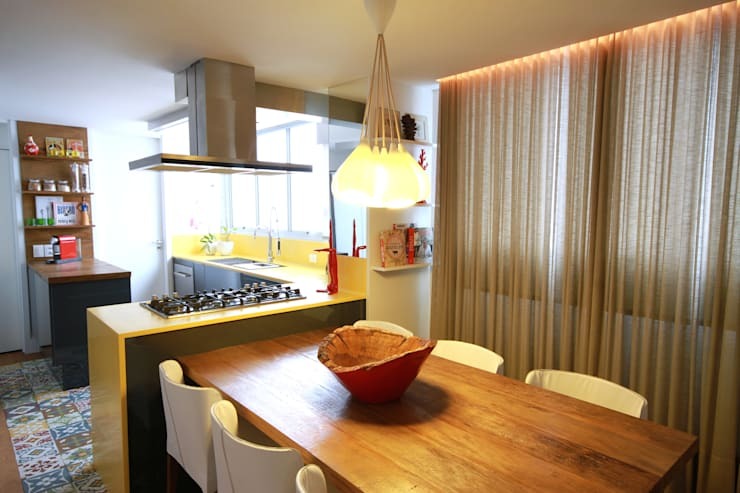 Enhance the ambiance with some soft lighting and your meal preparation will be a breeze! If your personality is completely daring and different, then a kitchen with a pop of colour and some gorgeous style will be a great choice for you. 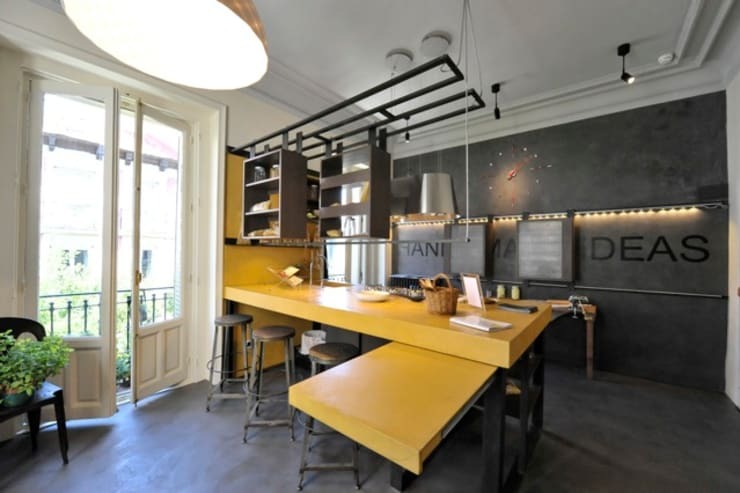 The yellow countertop, along with the charcoal walls, is an interesting combination—but it’s seriously inviting too. Or is your dream kitchen devoid of all extra fuss, from bold colours, modern materials and eclectic finishes? The simple look is a great idea too, and will ensure your kitchen is a tasteful and trendy feature in your home for years to come. Now that you've decided on your ideal kitchen counter, how about these 10 ideas for modern kitchen cabinets? Which kitchen counter appeals to your the most?